Can your yellowing lawn be lifted in patches, like a carpet? In the mornings, do you happen to see divots of grass lifted and overturned? It must be the work of skunks or raccoons feeding off the larvae buried in the soil. 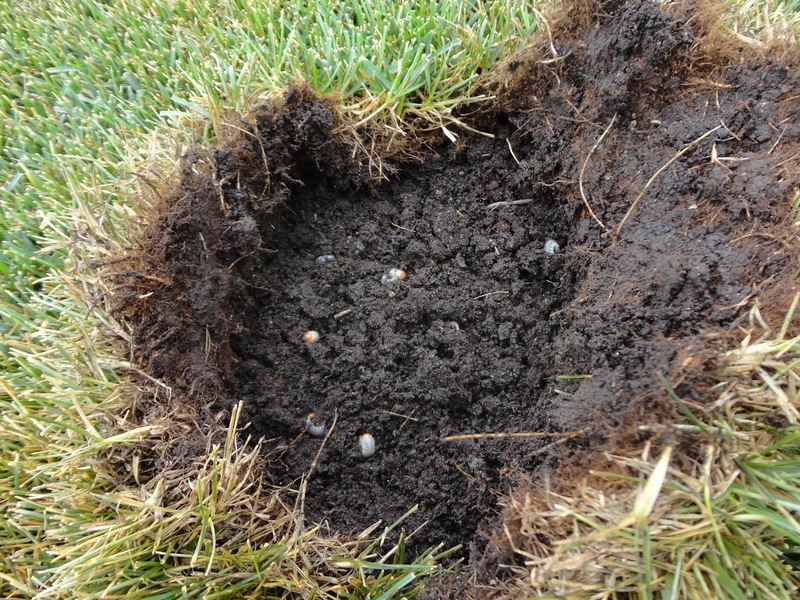 If this is the state of your lawn, then it is no doubt infested with white grubs. Apply animal repellent (generally capsaicin (Cayenne pepper) or piperine (black pepper) based to keep skunks and raccoons away, as they cause more damage by digging under the turf searching for a meal of grubs. Step on the patches of grass ploughed by the little animals to put them back in place and water them thoroughly. Let nature take its course and wait until May when the soil is dry to repair damaged lawn. It is important to note that there is no synthetic or low-impact pesticide that can be effective against these insects at this stage of their development. Also, nematodes should only be used in August. Keep mowing height at 7 cm (2'' �) or more. Fertilize using only natural fertilizers and compost, whilst avoiding nitrogen (N) over-application  citizens can get free compost in May from municipal installations. Refrain from using synthetic pesticides. Overseed at least once a year  choose an ecological seed mix of endophytes and clover, which will help build your lawn's strength and resistance. Add clover to your lawn, white grubs do not like it. From end of June to mid-July, turn off outdoor lights so as not to attract egg-laying female grubs. These and many other preventive measures must be maintained throughout the summer. Sources: L'�copelouse  Pour une pelouse vraiment �cologique and Le guide complet des pesticides � faible impact et autres solutions naturelles, both written by Micheline L�vesque, Agronomist. 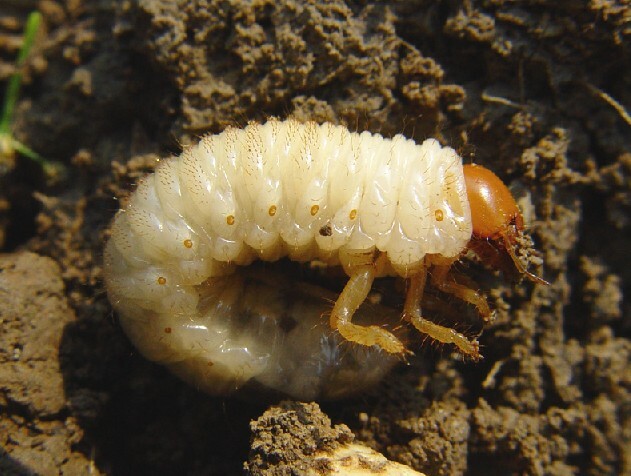 For more information on white grubs and eco-friendly prevention measures, do not hesitate to call the Green Line.